The US’ secret drone war has largely been shrouded in mystery since its inception. 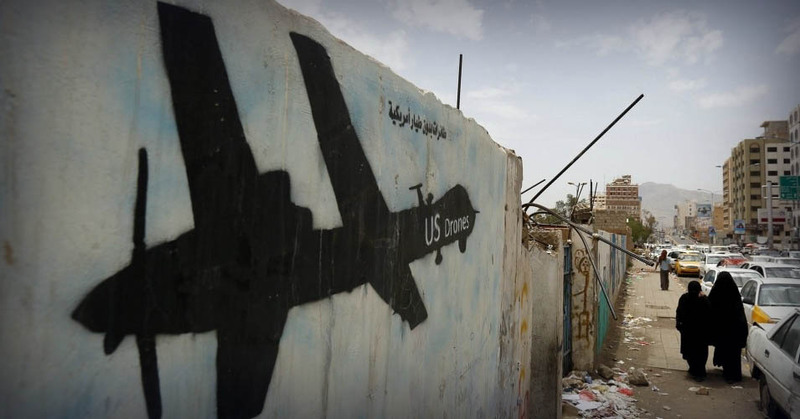 Despite its secrecy there is no denying that the US drone program represents one of Obama’s most dangerous legacies as president – essentially enshrining extrajudicial assassination as a cornerstone US foreign policy with no accountability. Obama has consistently argued publicly that the drone war is necessary as it results in less civilian casualties than conventional warfare. However, the way in which the program measures civilian casualties is disingenuous as anyone killed in the strikes is labeled as an “enemy killed in action” unless it can be proven otherwise, a nearly impossible feat for the people of the rural areas that are most frequently bombed. To make matters worse, most of these bombings take place in countries that the US is not at war with, meaning that a formal declaration of war is no longer necessary for US military operations abroad. However, new evidence suggests that the US isn’t conducting this deadly and illegal program alone as the United Kingdom is intimately involved. A third job advertisement obtained by Reprieve showed contractor Leidos was looking for someone to provide “FMV [full motion video] intelligence analysis in support of USAFRICOM and Special Operations Command Africa,” also at the RAF Molesworth base. This indicates that the base is involved in supporting illegal drone strikes in countries such as Somalia and Libya, where neither the US or UK is publicly at war.